Our style team says: yes, lady. It's party time! Breathtaking at first glance: the stylish trimming with large, matte, jet-black sequins in teardrop shape - covering the whole thing. 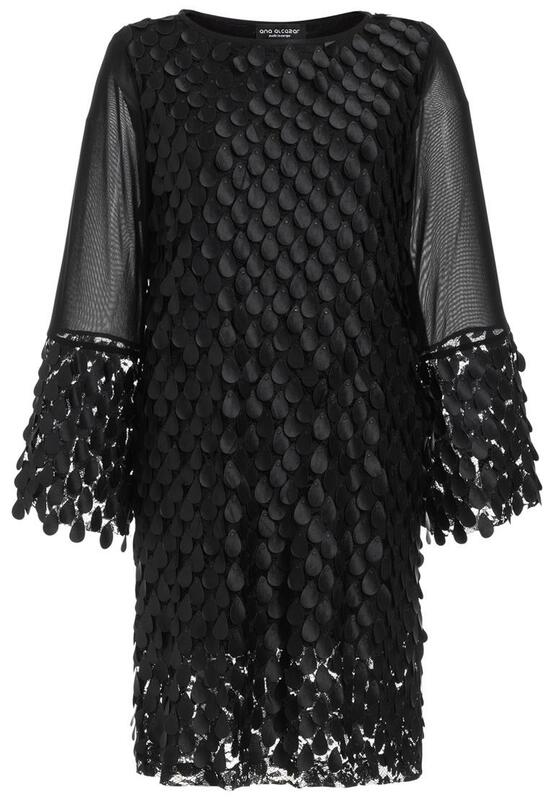 The oversized, semi-transparent sleeves end in the same sequined decoration and seem to rustle discreetly with every movement. The overall loose cut provides freedom of movement. The fixed undergarment makes the garment opaque. It's seductive when paired with black bootees and a clutch.